The durable, old melodrama of the king’s double, who’s called on to do an impersonation when the royal one is kidnapped. A swashbuckler to the core, done with great style and lavish production. Superior fun. Ronald Colman shines in the dual role of the dissipated Crown Prince Rudolph and the "simple Englishman", Rudolph Rassendyl. The crown prince’s predilection for the bottle recalls Colman’s earlier portrayal of the dark side of Sydney Carton from A Tale of Two Cities. 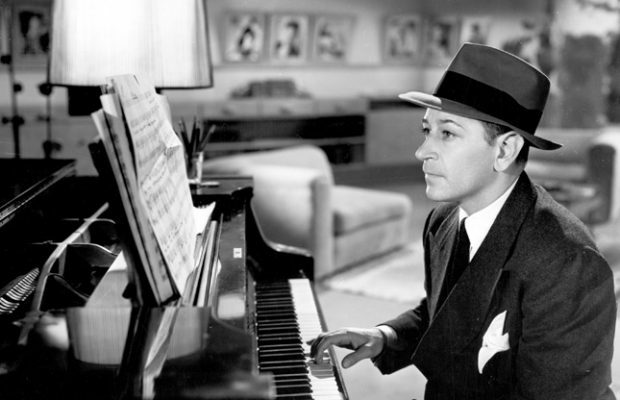 In contrast, Rassendyll’s reluctant gallantry and abiding integrity and honor epitomize the qualities for which matinée idol Colman had become known during his famous film career. His scenes with the incandescent Madeleine Carroll are especially felicitous, both visually and aurally. The poignant, penultimate scene of the film left this reviewer with a wistful sense of regret that The Prisoner of Zenda was to be their only cinematic collaboration. Raymond Massey was never better as the ambitious Duke Michael. The expressionistic qualities of his facial contortions make his lines almost superfluous. The rakish Count Rupert, played by Douglas Fairbanks, Jr., represents the archetypal rogue. His perennial smile, abiding charm, and sardonic wit make him a curious composite of Don Juan and Mephistopheles. Like Massey, I have never seen the underrated son of the silent screen’s most dashing hero in better form. The film’s remaining actors acquit themselves more than adequately. Mary Astor is the lovely Antoinette, Duke Michael’s devoted, yet unfairly, neglected paramour. Her consistently dark raiment and shadowy movements are perhaps reflective of her lover’s illegitimate origins, while at the same time belying her kind heart. Visually this is contrasted with the always radiant Princess Flavia. The two royal bodyguards, Colonel Zapt and Captain von Tarlenheim, are a case study, to my mind, as to why films like The Prisoner of Zenda are consistently superior to today’s mediocre fare. Although relatively lesser roles, they are capable of, and on more than one occasion, do dominate a given scene; moreover, in their own way they are as fully developed as any of the principals. The abiding sense of honor and loyalty expressed by C. Aubrey Smith’s Colonel Zapt is so profoundly felt and reflective of a long-vanished ethos, that one laughs to think of any contemporary actor making such utterances. The paradox would be striking! As for Zapt’s protégé, Captain von Tarlenheim, given the camera’s fondness for the handsome young star, it will come as no surprise to learn that this role was reputedly David Niven’s first acting breakthrough. His gift for dry English understatement is the occasion for one especially humorous scene-stealing moment that I will generously leave to the curious viewer to enjoy for himself. With such an outstanding, marquee cast that lives up to its advanced billing and then some, it is not difficult to understand why this film was such a rousing success when it premiered in 1937; so successful, in fact, that it was copied verbatim by MGM 15 years later after it purchased the rights from Selznick. With no slight intended to Stewart Granger et al., you cannot improve on perfection. If anyone wants to see an excellent movie made before the banner cinematic year of 1939, this would be a film to watch. It could hardly have gone wrong, with David O. Selznick as producer and John Cromwell as director. And a superlative cast of popular stalwarts, mostly from Hollywood’s British colony. Ronald Colman is his usual smooth and accomplished self in a dual role, King Rupert (of some fictitious country) and look-alike Englishman Rudolph Rassendyll, very distant cousins. The scenes in which he faces himself onscreen  called `trick photography’ then  are remarkable for the period. Lovely Madeleine Carroll plays a princess, betrothed to the king. Her equal in elegance and beauty wasn’t seen on the screen again until Audrey Hepburn and Julie Andrews. Many critics have praised Douglas Fairbanks, jr, as a likeable rogue. He’s very good, in an easy role. My applause goes to the two stars. The film is a glamorous combination of romance, spectacle and adventure. Don’t even dream of realism; there was too much realism in ordinary life during most of the Thirties. This is a grand escape to a time and place that never were. If I had to pick a favorite scene in the film, it would be the famous entrance of Colman and Carroll into the coronation ball. The shot opens on the couple, walking fast, arm in arm, directly toward us. The camera pulls back and back and BACK until the grand staircase of the palace and the entire ballroom, filled with people, are revealed. Visually and technically, this single fluid shot is a stunning achievement. It shows us the creative work that could be done at the time, by hugely talented artists, long before the advent of zoom lenses and computer graphics. Elegance and class are not hallmarks of most current movies. `The Prisoner of Zenda’ (1937) is a stylish and very satisfying example  a symbol, perhaps  of what escapist entertainment can be. And of what it could and should be, now and then, even today. Sir Anthony Hope Hawkins was a successful London barrister, who got his measure of permanent fame as the author of several novels. Some were quite popular in their day, like "The Dolly Dialogues" and "The Man In The Car" (which bases it's central figure on Cecil Rhodes). But it is his two "Ruritanian" Romances, "The Prisoner Of Zenda" and "Rupert Of Hentzau" that are the main novels he is recalled for, especially "The Prisoner Of Zenda". Set in a middle European kingdom, it was (for it's day in the last decades of the 19th Century) an updating of the swashbuckling novels of Alexandre Dumas. Dumas had some stories set in "modern Europe" ("The Count Of Monte Cristo" is set in the period of 1815 – 1830, and was written in 1844 – 1845), but most were in earlier periods, such as the 16th, 17th, and 18th Centuries. Hope Hawkins (who wrote under the name Anthony Hope) figured that there was sufficient intrigue and deviltry in modern Europe to transplant the plot style to the 1870s – 1890s. And there was considerable intrigue, especially in Eastern Europe. In the 1880s Prince Alexander of Battenberg seemed set to become first Prince or King of Bulgaria. He had won admiration in Europe for his stunning victories over the armies of the Kingdom of Serbia in a war of 1885 (the war that was the background to Shaw's ARMS AND THE MAN), and was poised to get his crown, when the Russian Empire balked. They thought Alexander was too pro-German, and too close (due to family relationships) to Great Britain. So Alexander was toppled, and forced to leave Bulgaria under very humiliating circumstances. Eventually Prince Ferdinand of Saxe-Coburg got the Bulgarian throne. "The Prisoner Of Zenda" is not based on the story of Alexander of Battenberg, but it shows the type of conspiracy atmosphere that pervaded the area. Basically the plot is an old one of substitutions concerning political figures. Dumas had used one in "The Vicomte De Bragalone", a huge multi-volume novel that included "The Man In The Iron Mask". One of the theories about the Iron Mask (the one that Dumas used)was that it was the twin brother of King Louis XIV. In that novel D'Artagnan has to thwart a plot to replace the Sun King with his brother – a plot that almost succeeds. Hope changed this slightly. Here the King is threatened by his ambitious half-brother, and the King's distant twin cousin replaces him to save the throne. The 1937 film version of the novel is usually considered the best of several (including the 1951 version with Stewart Granger and Deborah Kerr, and a comic version with Peter Sellers and Lionel Jeffries in 1978). David Selznick was the producer, this being part of his series of movies-based-on-famous-novels that included "A Tale Of Two Cities" (also with Colman), "David Copperfield" (with W.C.Fields), and finally "Gone With The Wind". His casting was top notch, with Colman supported by Madeleine Carroll, Douglas Fairbanks Jr., Raymond Massey, Mary Astor, C. Aubrey Smith, and David Niven. It is an exciting and well made film, and definitely worth watching. Selznick hoped to do the sequel "Rupert Of Hentzau", but that book is a comparative downer. Several of the main characters from the first novel are killed, and one of them shows a less likable side to his personality than in the first story. He toyed with a total rewrite of the story, to try to make Fairbanks a hero instead of a villain. The project never reached fruition. Probably just as well. 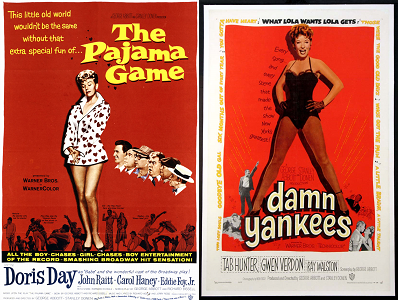 It is rare for a successful film production to be replicated in a sequel. 'The Prisoner of Zenda' is one of the most fondly-remembered films of the '30s, and for good reason. 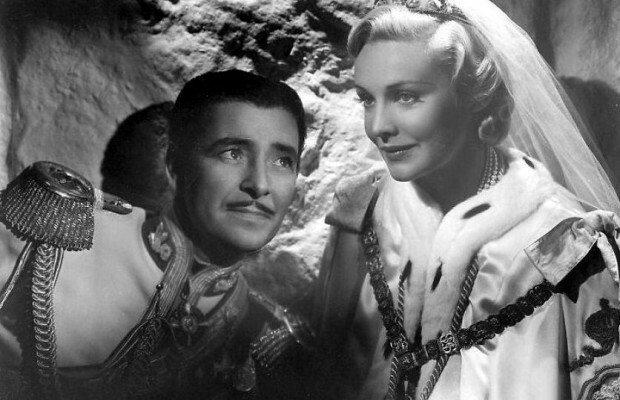 It offers Ronald Colman, one of Hollywood's most beloved British stars, in the dual role of Rudolf, crown prince of a small European kingdom, and Rudolf Rassendyll, his look-alike British cousin, end product of a brief affair of an ancestor (as the Englishman puts it, "Fishing in forbidden waters"); the radiant Madeleine Carroll, best-known as Robert Donat's leading lady in Hitchcock's classic 'The 39 Steps', as the royal betrothed, who falls in love with the pretender; Raymond Massey, Canadian star of H.G. Wells' SF masterpiece, 'Things to Come' (and, 3 years later, the quintessential Abraham Lincoln on stage and in film! ), as Black Michael, Rudolf's scheming half-brother; and, best of all, a youthful Douglas Fairbanks, Jr., son of silent Hollywood's greatest swashbuckler (and a pretty fair swashbuckler, himself), as the suavely villainous ally of Michael. The story is simple, and has been done many times before, but never with such elan; drugged monarch-to-be must be impersonated by look-alike for coronation, lest kingdom fall into hands of evil half-brother. In the hands of this PERFECT cast (with terrific support by C. Aubrey Smith, a young David Niven, and Mary Astor) the tale becomes a stylish tale of love, intrigue, and derring-do. High points include an astonishingly beautiful Royal Ball, where Colman and Carroll reveal their love; a very funny yet menacing meeting between Colman and Fairbanks, as they discuss the real King's potential fate; and best of all, a MAGNIFICENT climactic swordfight between the pair, as they lunge and parry furiously through the halls of a castle, while exchanging quips and one-liners. This is swashbuckling at it's finest! 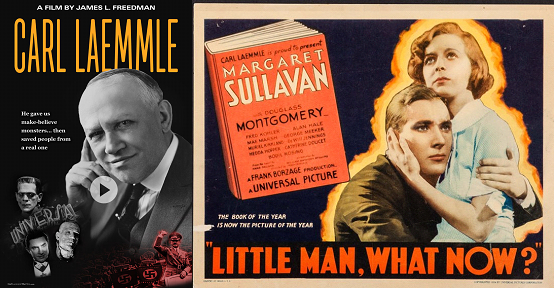 If you are unfamiliar with Ronald Colman's work, you're in for a treat…Don't miss it!